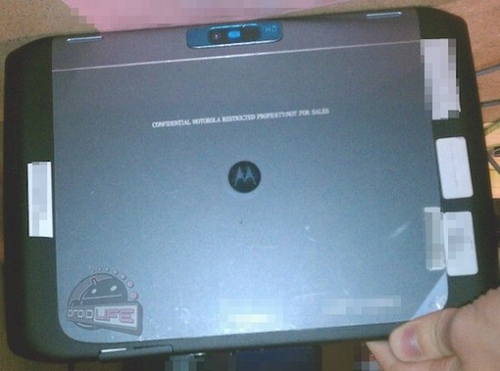 Motorola is working on its new generation of tablets with the Xoom Xoom 2 and 2 Media Edition. These newcomers show interesting formats and quality with the use of IPS screen technology. The Media Edition version features a infrared transmitter and a screen 8.2 "while the standard remains 10.1" classic. It is not known as yet little about the craft, but some photos and information has already transpired. 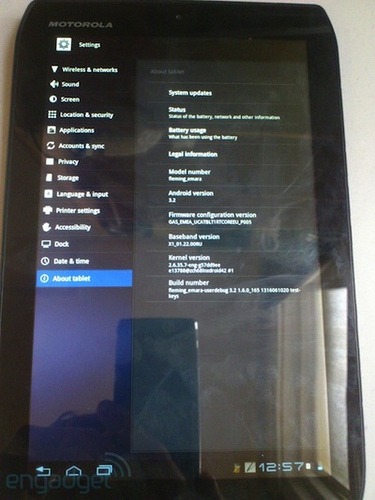 This first photograph Xoom 2 of "normal" in 10.1 ", therefore, shows a tablet very fine appearance. In practice it is only 8.8 millimeters thick despite a self-announced 11 hours and therefore a battery that should be pretty sturdy. It has an ARM processor not detailed but known to be clocked at 1.2GHz and backed by 1GB of RAM. 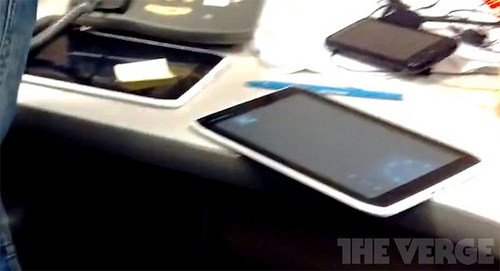 This tablet is capable of recording 1080p video format. 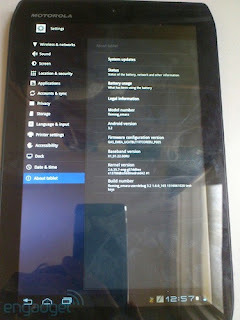 This image presents a model in Android 3.2 and it seems likely that the connection between Google and Motorola to do the testing ground of the latest Android: Much Ado about Adobe Flash 11, which would be borne by the tablet but also the full support of Netflix, the streaming platform US. 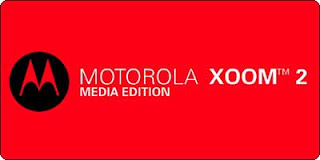 Version 2 Xoom Media Edition is equipped with a screen 8.2 "HD IPS technology. The surface is protected by a glass of Corning Gorilla Glass. The frame would be for its aluminum and magnesium which should give an excellent finish to the device. This second version embark an infrared transmitter capable of driving standard multimedia devices, like the Sony Tablet S, and thus to launch your TV and receiver before sending content to DLNA his example. Finally, the tablet is resistant to splash and weigh less than 450 grams. It could easily turn into a meal tray to get a cocktail while watching TV. She is not beautiful digital life in 2012?